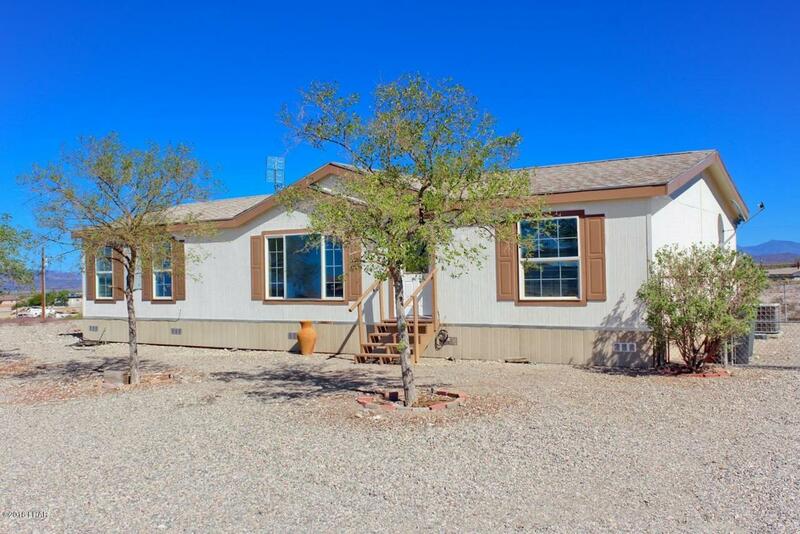 This gorgeous 3 bedroom, 2 bathroom manufactured home is waiting for just for you! 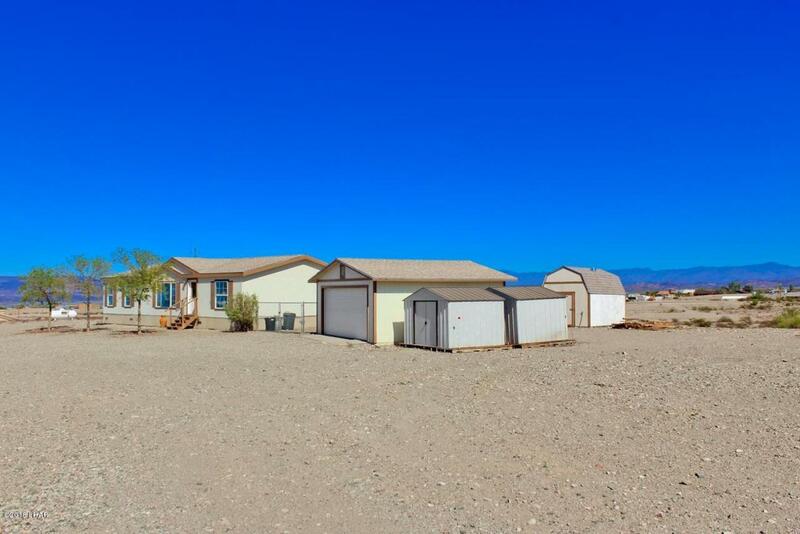 Located in Havasu Heights, this property has many attractive features, including views of the mountains surrounding the area, a sense of privacy and an escape from the busy hustle of the city. Head on out to enjoy the great trails and views of the area. 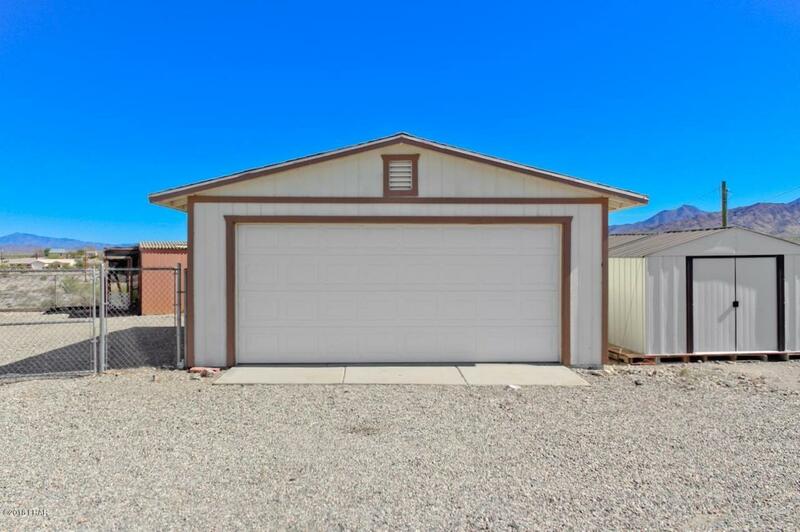 All of this plus this home comes with a detached 2 car garage to go with your huge lot! Master bathroom includes separate large garden tub and shower with glass doors with dual vanity sinks. Nice covered patio/deck area to enjoy the views. There are 3 storage sheds on the property and all with the ability to lock up. One has electricity and a loft space for increased storage. A wooden corral also exists on the property, horses and chickens are allowed on this property. 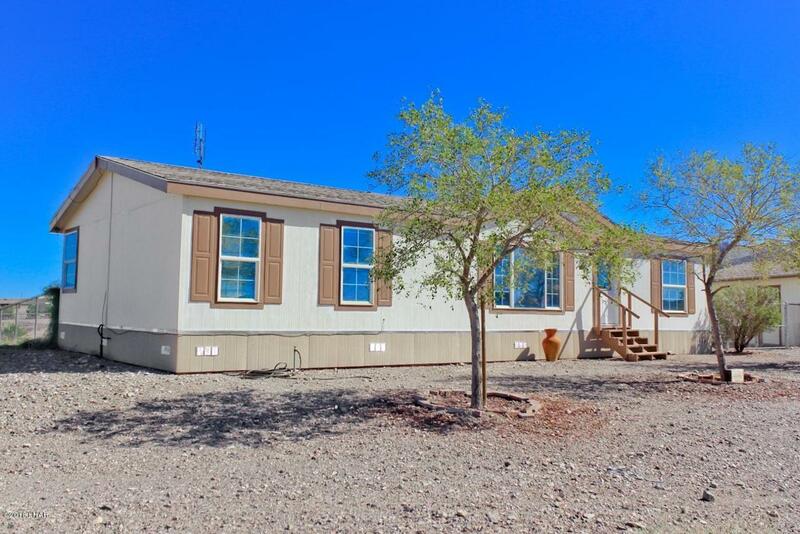 Take a look to see how much space is out there and all the extras that have been added to the property for your enjoyment and use. There is plenty of open land on the property for development and properties close by that could be bought as well. Call or text us for more information or a time to view this home.